Jessica and Andy were visiting Las Vegas from Scottsdale, AZ recently. 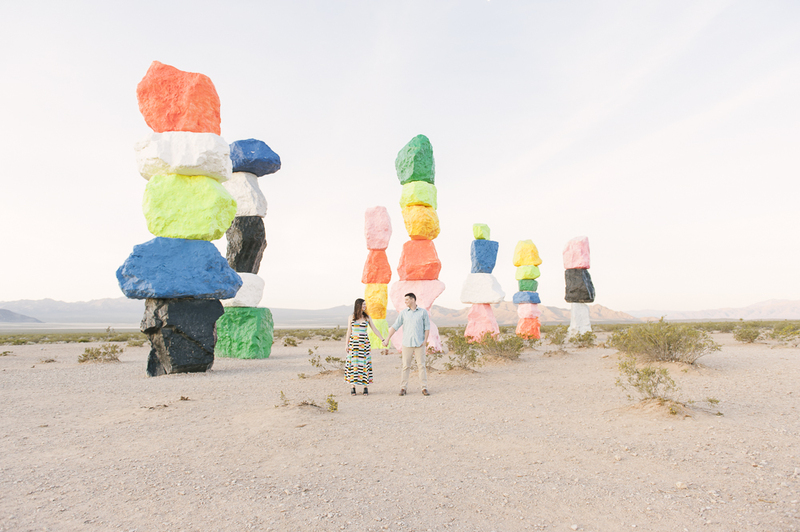 Jessica runs a blog about ethical, sustainable, and colorful fashion called Sustainable Rainbow and she just knew she wanted to get some photos at the colorful Seven Magic Mountains art installation! This awesome outdoor art exhibit is by Ugo Rondinone and will be on display for free to the public at least until the end of this year, so I'd suggest checking it out soon if you can! Check out the website for all the details HERE! We met at sunrise and had a great time! 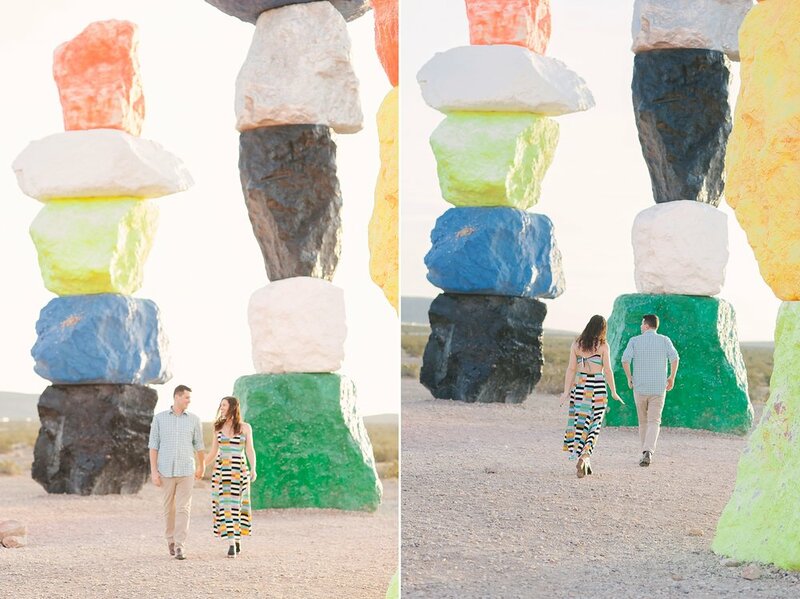 Jessica's dress matched perfectly with the colorful sculptures and was so much fun to photograph. Check out a few of my favorites!